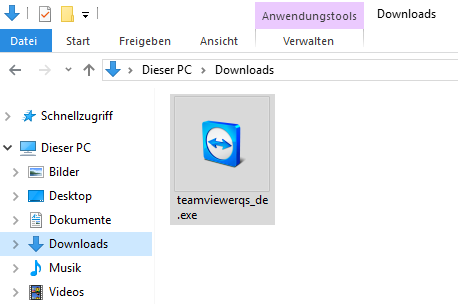 Then go to your file manager and "Downloads" and start the file ("teamviewerqs_de.exe") with a double click. In the next step, confirm that you want the Windows permission request to start the file. 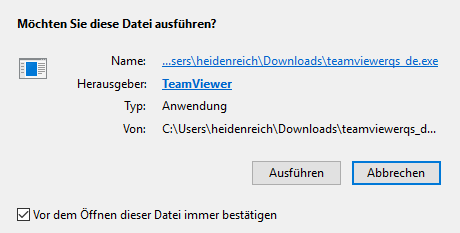 Please wait a few seconds until Teamviewer is started and connected to the server. As soon as Teamviewer is connected an ID and a password will be displayed. Now tell us your ID and password.